Here are a few different Combloc Sniper SVD chest rigs that we have been working on for a couple months now. We have been working closely with Marco from Behind Lines training and his group. One is a low profile rig which will hold 5 mags. The second rig will support 6 mag or a 10 mag version. 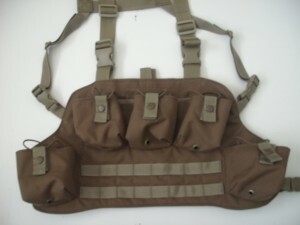 The pockets will support SVD, PSL,Tigr and M76 mags. 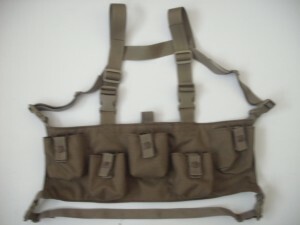 SVD chest rig designed to support SVD mags. 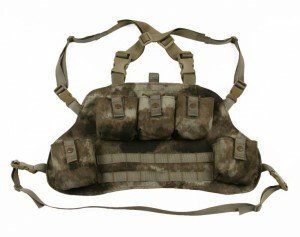 The chest rig is available in three configurations. The first rig is a low profile 5 mag version with staggered pockets. 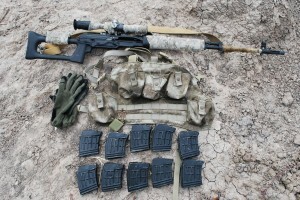 The second config support 10 mags with two rows of 8 columns of molle. The third config support 6 mags with two rows of 14 columns of molle across the expanse of the rig. 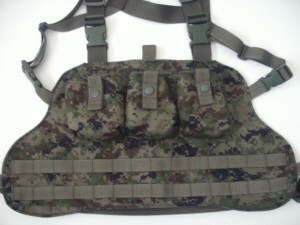 The SVD pouches use the unique BCS hybrid elastic/snap mag pouch retention system. This system was design to keep these mags tight and eliminate any rattle rattle. Works great for a single mag but even better with two mags. 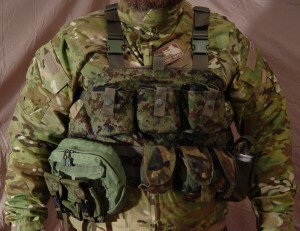 The rigs are available in Multicam, A-TACS AU, A-TACS FG, Coyote, Ranger Green, Khaki, Woodland, OD and Black. Here are a few pics. We will be getting better pics and adding a few action pics as well.